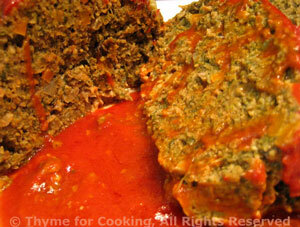 Easy Dinner: Meat Loaf Florentine, Weekly Menu Plan. I'm not sure which we like better: meat loaf or the, inevitable and much-loved, meat loaf sandwiches. Don't be out off by the slightly green color - it tastes right! 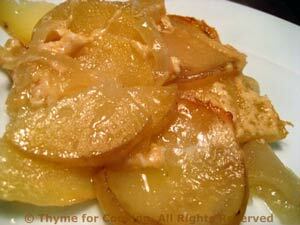 ;-)) If you want to serve both the meat loaf and the potatoes for another meal, double the potato recipe.